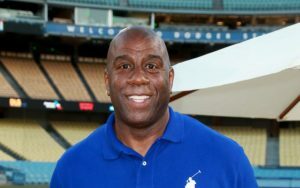 Legend Magic Johnson announced he was retiring from the post of president of Los Angeles Lakers basketball operations after just over two years of work at the NBA club. Johnson announced his decision minutes before the last season’s regular season, lost to host 101: 104 from Portland. The Lakers failed to qualify in the playoffs for the sixth consecutive year after a balance of 37 wins and 45 defeats, though last summer it attracted superstar LeBron James. “I want to have fun again, to be the kind I used to do before, and I’m in the middle of the road with the attraction of LeBron, this summer, with the other stars that will come, whoever attracts them, I think this one team can fight for the title next year with a view to the growth of young players, “said Johnson.